The Ontario government has introduced legislation to scrap the Green Energy Act on Thursday, arguing the plan to bolster the province's renewable energy industry led to increased electricity costs. Months after cancelling hundreds of renewable energy contracts, the Ontario government introduced legislation Thursday to scrap a law that aimed to bolster the province's green energy industry. Premier Doug Ford promised during the spring election campaign to repeal the Green Energy Act, which was introduced by the previous Liberal government in 2009 in a bid to grow the province's solar and wind energy supply. Critics of the act have said it resulted in an increase in electricity costs and saw the province overpay for power it did not need. Infrastructure Minister Monte McNaughton said Thursday repealing the law will ensure that municipalities regain planning authority over renewable projects, something that was removed under the act. "They didn't want these wind and solar farms," McNaughton said. "The people of Ontario should always have the final say on what gets built in their communities." The government said that future renewable energy projects must first demonstrate need for the electricity they generate before being granted approval. The province would not say, however, if the same rules would apply to natural gas or nuclear projects. The government announced this summer it was cancelling 758 renewable energy contracts in what it called an effort to reduce electricity bills in the province. Energy Minister Greg Rickford said the move would save provincial ratepayers $790 million, but industry officials questioned the figure and predicted there would be job losses. Environmental advocacy groups and opposition parties said eliminating the Green Energy Act is largely symbolic since the contracts were already ripped up. But they argued the move would discourage those in the green energy industry, costing the province significant investments and jobs without lowering electricity bills. "It is largely symbolic, there's no current investment going forward in green energy, there are no projects to cancel," said NDP legislator Peter Tabuns, adding the Tory plan "doesn't actually address the substantial problems that people have with higher bills." Green Party Leader Mike Schreiner said the legislation will do nothing to lower electricity prices, "but it will have a chilling effect on job creation and investors in the clean economy." "The government is doubling down on its message that Conservatives want no part of the jobs and investment in the $26-trillion global clean economy," Schreiner said in a statement. Greenpeace Canada said that while the act was known principally as a way of procuring renewable energy, it was included in a number of other progressive environmental policies, which will now be rolled back if the bill passes. "Although a symbolic blow to renewable energy, this is another sign of the Ford government's intent to take us back to the 1990s on environmental policy," said Shawn-Patrick Stensil, a senior energy analyst with the organization. "An objective of Green Energy Act was to empower citizens and communities to fight climate. What we haven't heard from the Ford government is how it will enable Ontarians to take advantage of the declining cost of renewable energy and reduce their greenhouse gas emissions." 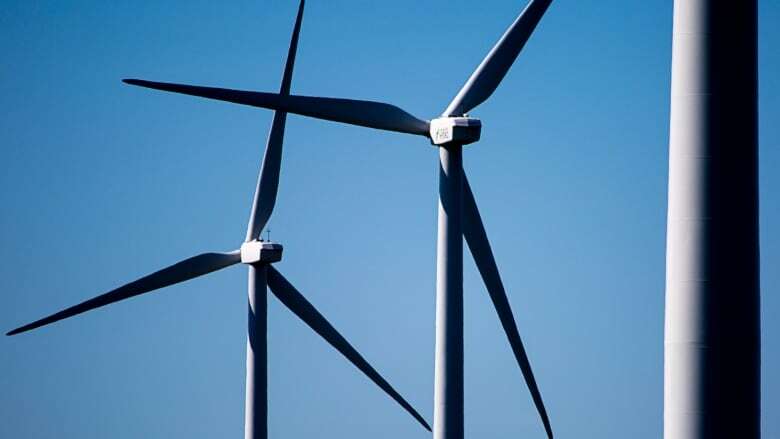 Another group, Environmental Defence, said moving away from renewable energy would be costly. "The rejection of wind and solar also comes at a time when renewables are now the cheapest form of new electricity generation in Canada, as they are in many parts of the world," said Keith Brooks, the group's programs director.